The date and version might have changed). Flash it on your eMMC module or SD card and boot from it. You either do it on the machine or via SSH. 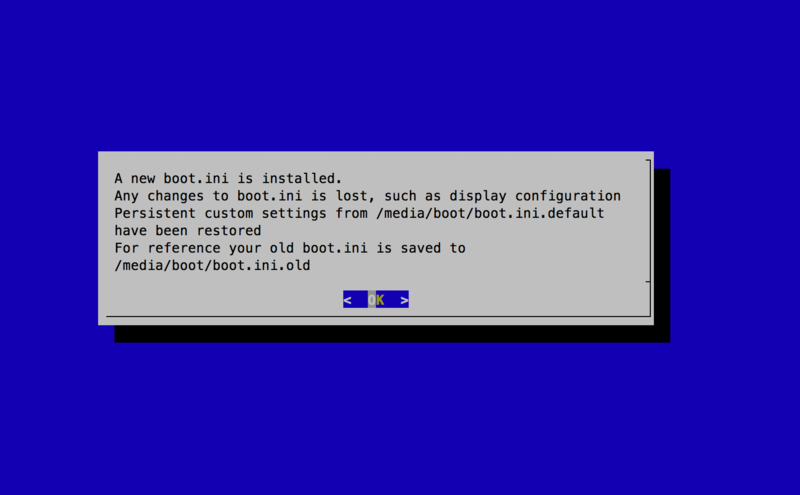 While updating the base system, the installer will inform you that a new boot.ini was installed. That’s ok.
After some minutes the system will automatically reboot into you new and shiny Tooloop OS. If your're curious what the installer does, check the install script. Enjoy the first steps on your new Tooloop Box.